Your front yard is the red carpet inviting buyers into the beauty that is your home. If it's rugged, messy and unkempt, buyers will take one look and then keep on driving to the next property on their list. 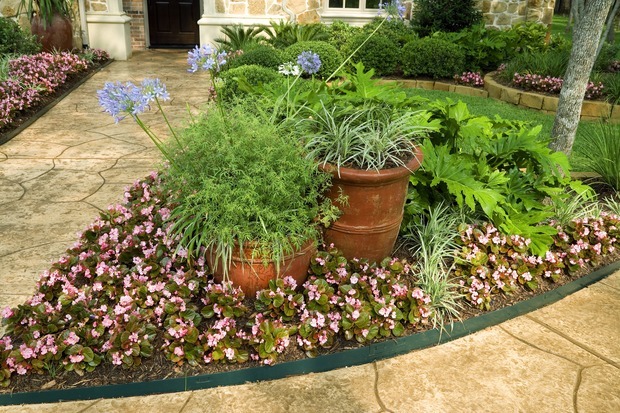 Don't let that happen by making your front yard luscious and as amazing as the inside of your home. Buyers don't want to trudge through high grass as though they were in the Amazon or on a safari in Africa. This means the lawn mower needs to be out at least once a week if not every other week, keeping it trimmed and maintained. It also needs to be green so it looks alive and lush. Water so the sun doesn't dry out the lawn and turn it yellow or brown. 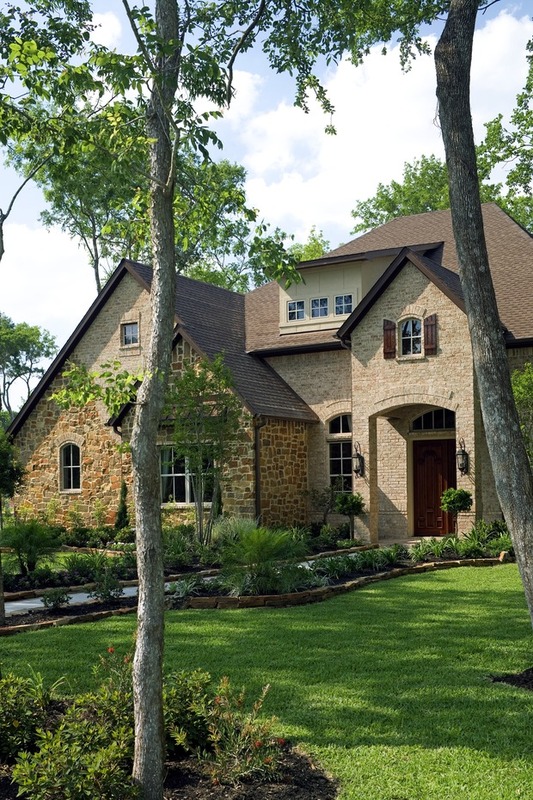 A professional landscaper can help maintain a balance of trimming and growth so it looks just right for buyers. 2. Plant more shade trees. One or two trees in the front yard are all right, but if you want to really add some shade, plant more. Shade trees will detract from the glare of the sun, and it can help decrease the temperature of the house if they're placed close to windows. It also will help keep the lawn green with moisture. You can plant trees that are shorter and will grow by the time the new owner buys the home, but be sure they're strong and can handle the climate. 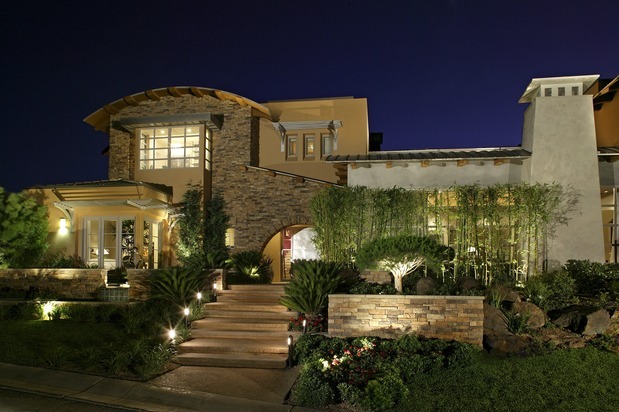 Outdoor lighting is a good way to both illuminate the house at night and accent parts of your yard. Depending on where you install the lights, your house will look very appealing at night to those buyers who might not have time to do their shopping during the day. Outdoor lighting also helps to illuminate a path like a sidewalk to get from the curb to your front door for easier navigation. It helps to accent the beauty of your landscaping which all together increases the beauty of your home. 4. Consider adding flowers for more color. 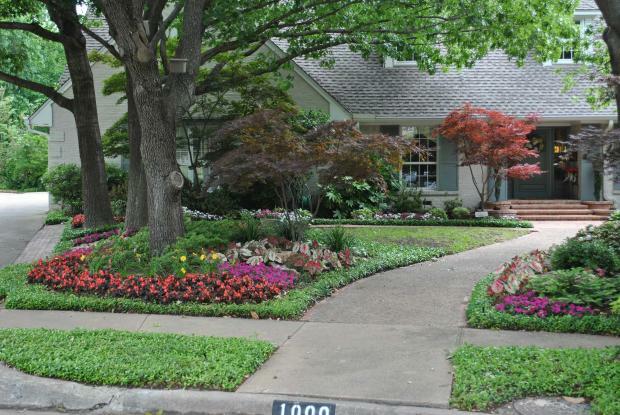 If your front yard has a lot of greenery, you should increase the yard appeal by adding more colors. Flowers are a great and simple way to do this, as well as shrubbery with different blooms. Perennials are the best for this because they last for more than a year, which means less maintenance for the seller and the new homeowner. They come in a wide variety of colors and types so the yard can be decorated with any number of them while still requiring less maintenance. In addition to keeping the lawn trimmed, everything else should be clean. Anywhere that can build up dirt or grime - siding, porch, front door, driveway - should be cleaned on a regular basis. Buyers don't want to see a lot of dirt and mess, and it will detract from them wanting to walk into the house. So take a broom, a power washer and a few hours on the weekend to keep everything sparkling clean. Don't have a power washer? A professional power washing service can cost as little as $293.